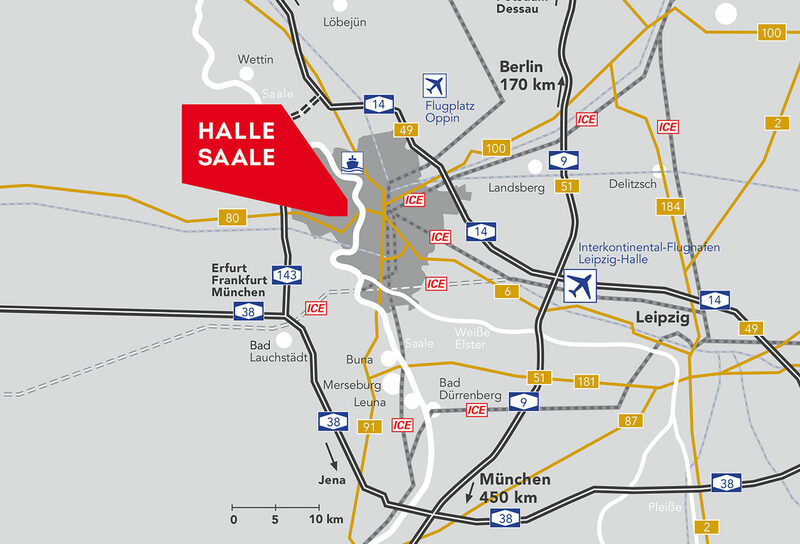 Modern, made-to-measure infrastructure makes a major contribution to growth in Halle (Saale). The city’s location at the heart of central Germany and excellent global transport links enable effective production, sales and working operations. Important infrastructure components are Leipzig / Halle airport, the A9, A14, A38 and A143 motorways, and an excellent rail network. By 2019 a further €1.5 billion will be invested in infrastructure development. 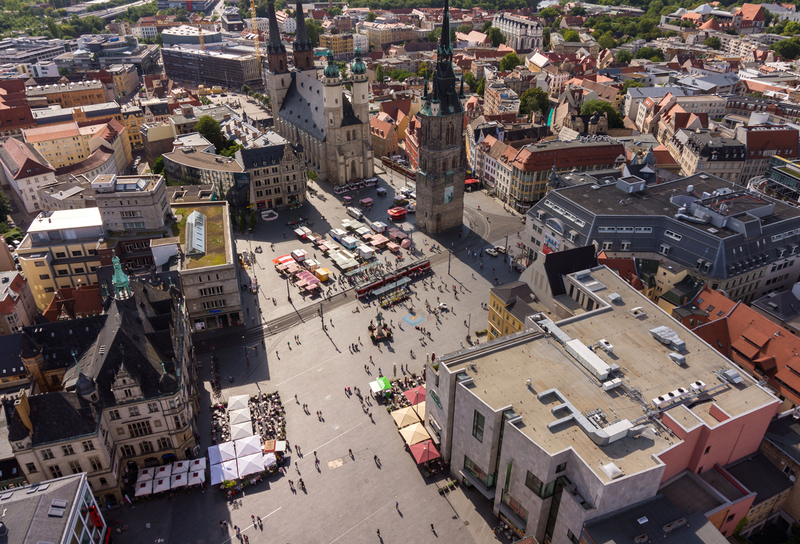 Whether it’s traditional industries or innovative new sectors, in Halle (Saale) you can always be sure of finding flexible, highly skilled personnel. A clear benefit for every investment. In addition you can cooperate locally with experts from the universities and universities of applied sciences, recruit new personnel for your company, and access the practical experience of the region’s engineers, scientists and specialist personnel. Halle’s research and educational facilities have an excellent reputation, highlighted by the over 500-year-old Martin Luther University Halle-Wittenberg. In addition Handel’s birthplace is home to prestigious research institutes, including the Leopoldina, Germany’s National Academy of Sciences, institutes of the Max Planck and Fraunhofer Societies, the Helmholtz Association of German Research Centres, the IWH Institute for Economic Research Halle and the Leibniz Institute for Plant Biochemistry. In addition there are a number of technology and start-up centres such as the Central German Multimedia Centre, the Weinberg Campus Technology Park and BIO Mitteldeutschland GmbH, which round off the scientific facilities of the city and boost its economic innovative force. A wide range of well-established and young institutions involved in music, theatre, film and modern media, as well as the tradition-rich Burg Giebichenstein with its unique combination of applications-oriented art and design, establish the ideal preconditions for creative-business scenarios. In September 2015 new studios were established at the Mitteldeutsches Multimediazentrum. 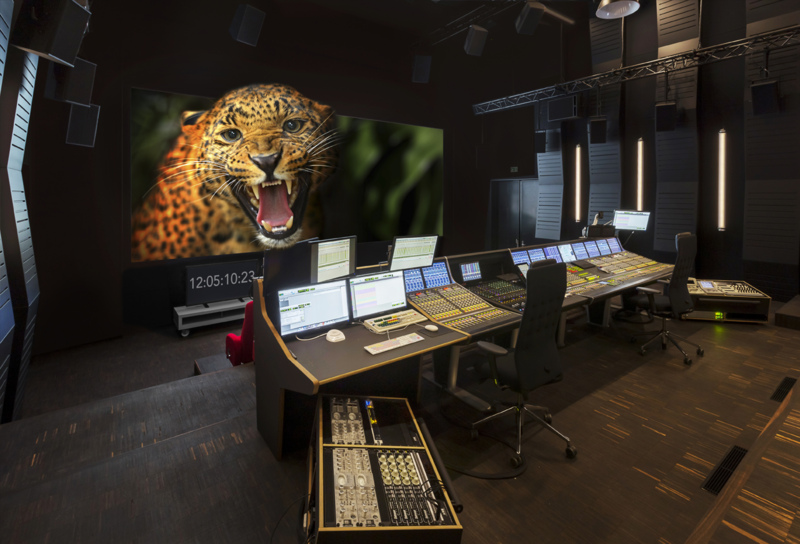 At the core of the cutting-edge post-production studios is the Dolby Atmos cinema mixing unit, which can be used for both sound and image processing. International producers use Europe’s most modern facilities. Halle (Saale) is the ideal platform for start-up companies. At Weinberg Campus Technology Park technology oriented visionaries will find top-class R and D partners and benefit from the synergies provided by the 9 local business incubators. At the Central German Multimedia Centre (MMZ) film and multimedia production, universitary research and teaching and newly establshed enterprises meet under one roof. The ‘Designhaus’ of Burg Giebichenstein University of Art and Design provides ideal conditions for activities in the design, fashion, photography and IT development sectors. 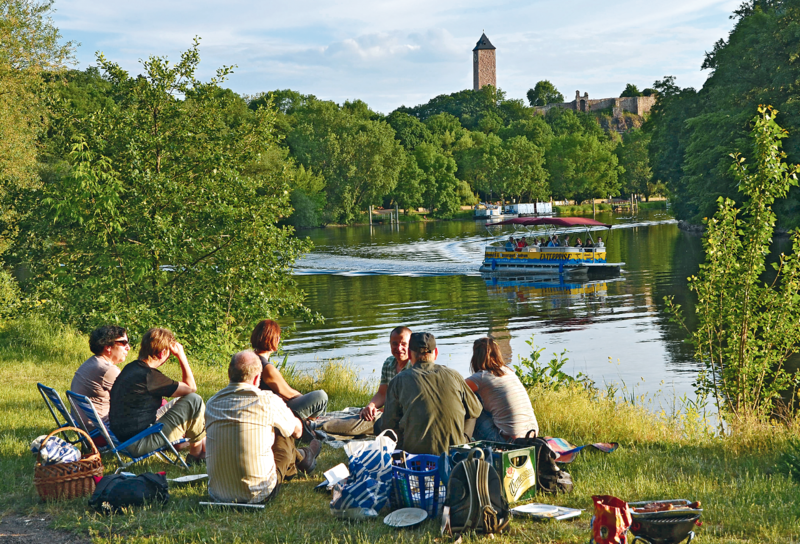 Thanks to its numerous parks and gardens and wonderful forest, river and river meadow scenery Halle (Saale) is one of Germany’s greenest cities and is known for its qualiy of life, diversity and cosmopolitan flair. Further features of the city are its vibrant traditional and modern cultural and artistic scene. With theatres, an opera house, galleries, variety, cabaret, museums, cafés, bars, clubs, pubs and discos – the sheer diversity is fascinating.